The New World is a prequel to the award-winning Chaos Walking trilogy, setting the stage for the world we discover in The Knife of Never Letting Go, The Ask and the Answer, and Monsters of Men. The story was written while the author served as writer in residence for the Booktrust an independent UK-wide charity dedicated to encouraging people of all ages and cultures to enjoy books. The New World tells of Viola's journey to the New World, brilliantly capturing the hope and fear of settlers in search of a new life. Patrick Ness says that he wrote it "as a huge and deeply-felt thank you to readers. I've had so many questions about Viola and what her life was like before that I couldn't resist the opportunity to reveal just a little bit extra. I knew these things - they're vitally important to her as a character, even if they're not directly in the novels - so it felt like a secret trip I could take readers on. The challenge was to make it work on its own, too, so anyone could read it. That was really, really good fun, and I hope the final result is an exciting one." The New World can be listened to before or after the trilogy – and some may choose to do both. 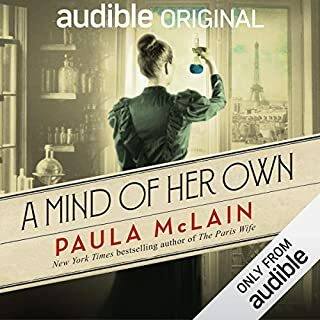 The story works as a standalone piece, but listeners already familiar with The Knife of Never Letting Go will learn more about Viola’s life and the events leading to her arrival and first encounter with Todd, while newcomers to the trilogy will discover a white-knuckle ride of an introduction to the series. Whether you're a new or faithful listener, though, it's a welcome chance to immerse yourself in the world of Chaos Walking. Listen to more Chaos Walking. Would you try another book from Patrick Ness and/or Angela Dawe? I think I should .. or would. The story was a bit dragged out but all in all, I found it a nice listen. I don't like whinny children whose parents are doing the best they can to make a better life for everyone as a whole. 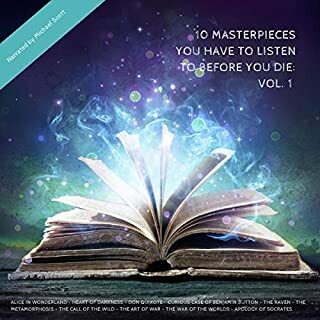 Would you listen to another book narrated by Angela Dawe? Yes ... she sounded youthful, ambitious and had nice pacing. 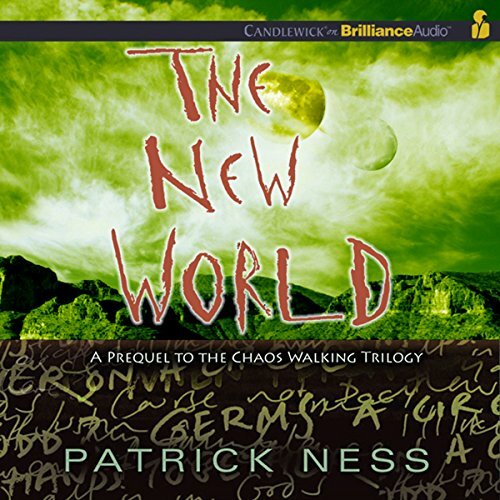 Was The New World: Prequel to the Chaos Walking Trilogy worth the listening time? It was just a bit 'slow' ... but that doesn't mean it wasn't good. Wow!.. What an exciting start. If THE NEW WORLD is truly a good representation of what’s to come in the Chaos Walking Trilogy, then I’m excited to jump into the series and find out what the future holds for Viola. At this point I think it's totally a ya novel. Still I've enjoyed it, suppose that's the Peter Pan in me. It's enough that I'm going to go back and take another look at Book 1 to see where it may lead. There's no reason not to try at least this Prequel after all....it's free and worth your 3/4 hour time. Let me start by saying I liked this short story and I love the series. I am disappointed and worried that many who have not read the series will read this first and believe that it is similar to what the series is like. The good writing is of course the same, but what makes the series so good is the concept of the story. Everyone can hear what every male is thinking including animals. I believe this series to be better then the Hunger Games, it is certainly more original. Humans hunting humans for sport is not a new idea. Don't get me wrong I have read the first two books in the hunger games, plan on reading the third and believe them excellent books. I just like this better and believe it is not as popular because the main star is not female, and females read more then males. This prequel may even be the authors attempt to capture that audience. So if you have read the series, you will enjoy this free story and if you have not you will enjoy, but remember, The Knife of Never Letting Go is awesome. This is a wonderful addition to the Chaos Walking story. We get a taste of what happens to Viola just before she lands on New World. This explains a bit of who Viola is and where she's coming from. It is a short read/listen but seems to be packed with extra nuggets for the Chaos Walking story; mostly about Viola. 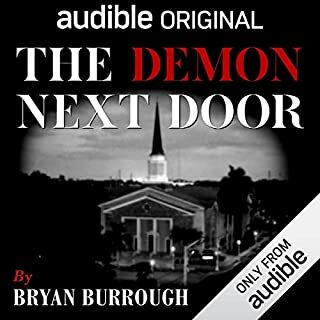 i might be a bit biased, since i love the series so much, but i did find this book quite enjoyable to hear being read. although, i wish the reader sounded more genuine/emotional. to me, she sounded like one of the computer generated voices. besides that, this book is a masterpiece and i thoroughly enjoyed listening. 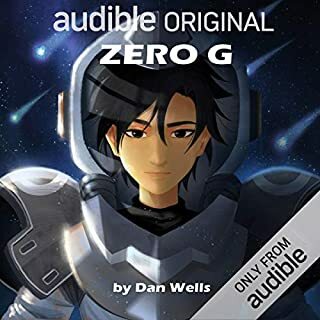 This prequel was quick and did a good job of giving some back story of what the series is about and how the main character got to the new planet. If this little nugget is representative of the trilogy, then I am very much looking forward to listening to the rest of the books in the series. Great writing! 48 minutes including the copywrite. 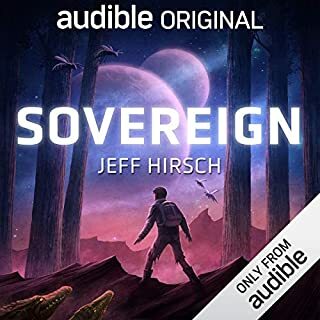 I hope the books that this prequel comes from are worth the audible price.